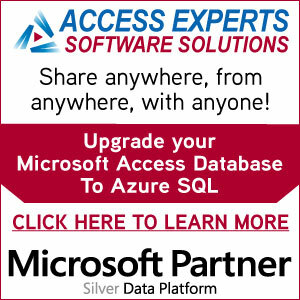 Join a MS Access User Group – Free Membership! 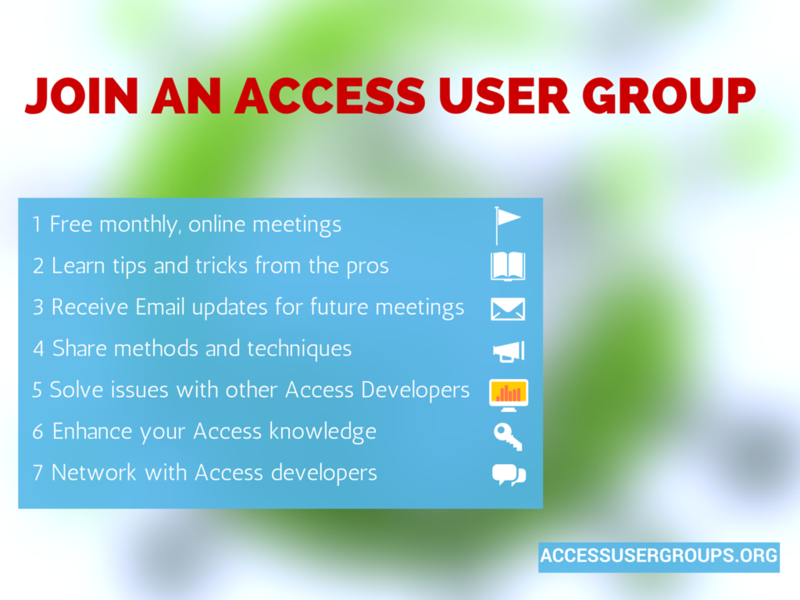 Register for 1 of our 6 active and virtual Access User Groups! There’s a group for everyone, and they’re designed for both novice and expert developers.